Experienced farm animal and equine veterinary practitioner including first and second opinion practice for pleasure, performance and racing horses. Successfully coached and tutored undergraduate and graduate students in academic and corporate organisations. Diverse experience within the veterinary health industry including clinical practice, pharmaceutical and academic research, veterinary business management and extension teaching. SENIOR LECTURER (Deceased 16 Nov 2018) *Original lectures and notes will continue to be used for this course in the foreseeable future with appropriate updates from time to time. 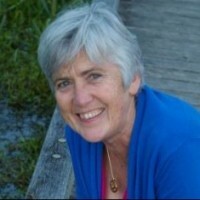 Dr Ulrike Wurth graduated from Melbourne University in 1972. 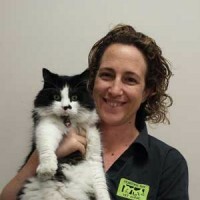 She has extensive veterinary practice experience, starting in mixed practice in Australia and the UK, before setting up the Highton Veterinary Clinic in Geelong, which she continued to run until 2010. Ulrike also has research experience investigating potential anti-inflammatory drugs. She recently worked part-time at the Animal House Veterinary Clinic in Torquay where she treated patients with acupuncture and Chinese herbs. Ulrike’s first exposure to acupuncture was in 1982 for a cat with a paralysed bladder and amazed by the experience, she commenced a part-time human acupuncture course in 1984, graduating with a Diploma of (Human) Acupuncture in 1986. Since this time she successfully integrated acupuncture into her busy veterinary practice caseload. 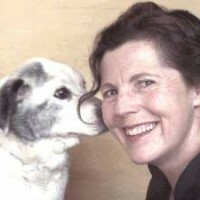 In addition to being a highly skilled and well regarded veterinary acupuncture practitioner, Ulrike was a passionate advocate for veterinary education in acupuncture and was instrumental in developing and delivering the Australian IVAS Certification Course curriculum in 1991. The course has been continually updated and improved to ensure high level delivery and optimum learning experiences for veterinarians wanting to integrate acupuncture in to their practice. Awards: 1996 – IVAS for leadership and coordination of the IVAS courses in Australia, 1999 – AVA Meritorious Service Award. Dr Sara Baldey graduated from Murdoch University in 2004. Before this, she completed a Bachelor of Science with post graduate Honours in Organic Chemistry at Northern Territory University. She has worked in mixed practice in country Victoria, and in both small animal and integrative veterinary practice in Melbourne. 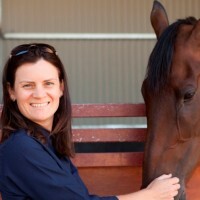 Sara has been an educator at Box Hill Institute for the Certificate IV in Veterinary Nursing, and a previous committee member of the Australian Veterinary Acupuncture Group. Sara completed the IVAS course in 2009. This was to learn skills to improve the health of her patients, especially those with chronic pain and musculoskeletal problems. Upon completing the course she realised the much wider and diverse applications of acupuncture. She realised how acupuncture can help when western medicine methods are exhausted or plateau, and the significant difference this can make to the lives of patients. This is Sara’s first year as a lecturer with the Australian College of Veterinary Acupuncture IVAS course. She is looking forward to being involved in the course and meeting fellow colleagues with an interest in acupuncture. She humbly offers her knowledge and experience to help them on their journey – as the learning process ever-continues for her too! After graduating from Texas A & M School of Veterinary Medicine in 1980, where his interest in veterinary acupuncture started, Kevin went straight into a practice that utilized acupuncture in both equine and small animals. In 1988, he became certified in veterinary acupuncture by the International Veterinary Acupuncture Society (IVAS), and in 2000 completed their course in veterinary herbal medicine. He also holds a Masters in Veterinary Chiropractic. Since 1996, Kevin has been lecturing on equine acupuncture for the IVAS Certification Acupuncture Course in the USA, and internationally. Kevin is a partner in the El Cajon Valley Veterinary Hospital near San Diego in California. His primary function is equine ambulatory medicine with a special emphasis on equine performance medicine, lameness, dentistry, acupuncture, herbal medicine and chiropractic. One day per week, he also does small animal acupuncture, herbal medicine and chiropractic. Professional positions held: Founding President of the American Academy of Veterinary Acupuncture (AAVA) 1992-2000, President – IVAS 2006- , Director – IVAS, Director – AAVA. Dr Susan Peden graduated from the University of Queensland in 1982 with first class honours. She followed her interest in equine science to complete an internship at the University of Sydney. A move to mixed practice in Tasmania led to community involvement with animal education. Initially teaching adult education classes in Animal Care and she then implemented the Pets and People program in primary schools. Susan has completed Certificate IV in Assessment and Workplace Training. In 1995 she completed the IVAS certification course and began integrating veterinary acupuncture into chronic disease management. Further training in Veterinary Herbal Medicine, Food Therapy and Tui Na followed. In 2004 she became a member of the Australian and New Zealand College of Veterinary Science in small animal surgery , finding acupuncture improved the outcomes of surgical cases. In 2009 she returned to full time equine practice and undertook further training in Veterinary equine dentistry and equine reproduction. Susan currently works for Hobart Equine Practice two days per week and three days practicing acupuncture for dogs and cats. This is Susan’s first year as a lecturer, tutor and demonstrator with the Australian IVAS course and looks forward to the opportunity to inspire vets to provide acupuncture as a treatment option for more animals. 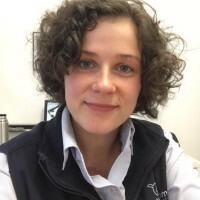 Dr Marriott graduated from Melbourne University in 2008 and worked in small animals practice between raising 4 children with her husband and dog, Trooper. Dr Marriott undertook the IVAS Acupuncture course in 2012, after feeling that western medicine wasn’t a complete picture for many of her clients. Acupuncture, and later herbal medicine, extended her therapeutic range and now Dr Marriott specialises predominately with greyhounds and working dogs. Dr Marriott feels honoured to support her patients and is a caring practitioner. She is humbled to help the new students undertake the next Australian College of Veterinary Acupuncture IVAS course and believes the world needs a greater range of dual-qualified practitioners to support our fur-babies! Dr Bob Clippingdale graduated in 1969 with Honours from the University of Sydney. He spent five years with the Tasmanian Department of Agriculture working in the Midlands and Flinders Island. This was an interesting Government appointment as there was no local private practice so the workload was general including disease eradication programs for Hydatids and Ovine Brucellosis, as well as calvings, pregnancy testing and a small proportion of small animal and horse work. Bob then spent 5 years in mixed practice in Mt Isa. It was here that Bob was introduced to both Acupuncture and Chiropractic. The results were impressive and laid the seed for further study. 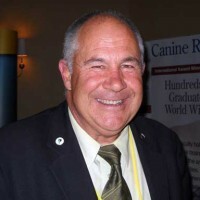 Bob returned to Tasmania and established the Forbes St Vet Clinic in Devonport in 1979, where he remains as the principle partner. The clinic now has a 100% small animal focus but Bob does still see some equine chiropractic cases. Bob completed the IVAS Acupuncture Certification course in 2001, followed by a Graduate Diploma of Animal Chiropractic in 2005, and the IVAS Chinese Herbal Medicine course in 2011. 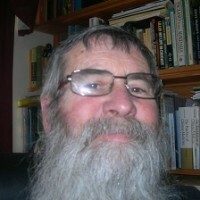 Bob provides tutoring support for students through the online forum and on an individual basis, and has a wealth of knowledge and experience to share. Professional positions held: AVA Tasmanian Division – Past president, IVAS House of Delegates, Director – ACVA Board, Board Member – Australian Veterinary Chiropractic Association. Dr Nathalie Jugovic graduated from the University of Melbourne in 2000. She commenced her veterinary career in small animal practice in England and Australia. 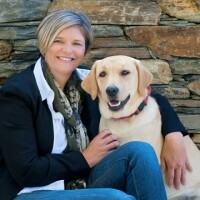 In 2007 she commenced working part-time in emergency medicine at the Animal Emergency Centre Mt Waverley and also at Hobson’s Bay Vet Clinic, where she still works today. Nathalie’s professional interests are in small animal emergency medicine, ultrasonography and acupuncture. She aims to provide high outcomes for her clients through skilled integration of Western veterinary medicine and acupuncture where indicated. Nathalie completed the IVAS Acupuncture Certification course in 2013. 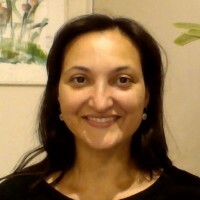 This is Nathalie’s first year as an online tutor for the Australian IVAS Acupuncture Certification Course. She is very much looking forward to providing support for her students and working with her tutor group. She also looks forward to continuing to expand her own understanding of Chinese medicine. Veterinary acupuncture – treatment of orthopaedic, muscular and behavioural cases in dogs, cats, rabbits and birds. DR CARL MULLER BVSC, DIP AC, CVA (IVAS), GRADDIP ANIMALCHIRO. Dr Carl Muller graduated from University of Melbourne in 1968. He entered mixed practice and worked in regional Victoria with primarily cattle and horses, before focusing on small animal practice in Melbourne and the UK. He established the Prahran Veterinary Hospital in 1975 and recently retired and now works as a consultant in the fields of acupuncture and chiropractic at this ASAVA accredited practice. Carl developed an interest in acupuncture during the 1980’s and undertook a human acupuncture course graduating with Diplomas in Acupuncture and Chinese Herbology. Carl integrates Acupuncture, Chinese Herbs and Chiropractic modalities into veterinary practice. 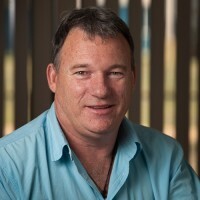 Carl is one of the foundational members of AVAG and has been a lecturer of the Australian IVAS Certification course since its establishment in 1991. He brings a detailed knowledge of Traditional Chinese Medicine theory as well as a breadth of clinical experience in integrating Chinese Medicine with conventional veterinary medicine. 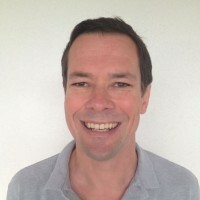 Dr Mark Hocking graduated from the University of Sydney in 1994. 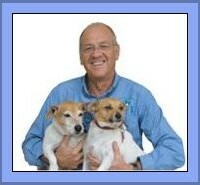 He has practised at Gladesville Veterinary Hospital in Sydney since 1998. Mark has been treating the trigger points of his companion animal patients for over 14 years. Trigger points are the small, focal, tender contractures (“knots”) found in skeletal muscles, which can be a cause of pain and lameness. In 2001, Mark completed the International Veterinary Acupuncture Society (IVAS) Course and received his IVAS certificate and in 2002 attended a trigger point therapy workshop run by Dr Elizabeth Frank also an IVAS graduate with a special interest in muscle trigger points. Since 2010, Mark has run six workshops on trigger point therapy for Australian and New Zealand veterinarians at the invitation of the Australian Veterinary Acupuncture Group, Australian Greyhound Veterinarians and the New Zealand Veterinary Association. Mark spent six weeks at Massey University in New Zealand in 2012, where he was involved in a research study investigating the diagnosis of Trigger points and the effects of Trigger point therapy in racing Greyhounds. Mark has given two lectures on trigger points and trigger point therapy for both the Australian IVAS course in 2012 and the Australian Veterinary Association Annual Conference in 2013. Mark has had two papers published in human pain journals, which outline his alternative hypothesis for the pathophysiology of trigger points. The publication of these papers lead to Mark being invited to give a presentation on the pathophysiology of trigger points at Myopain 2013, the International Myopain Society conference, in Seattle in August 2013. Mark was also keynote speaker at the Australian Greyhound Veterinarians annual conference in Melbourne in October 2013, where he presented the results of the Massey University trigger point study. 1964 Diploma of Agriculture, Dookie Agricultural College, Graduated B.V.Sc (Hons) Melbourne University 1970. 1970 -72 Australian Army (Vietnam War conscript). 1972 – 74 Diary Practice Foster Victoria. 1974-85 Mixed Practice Morwell Victoria. I found the local Greyhound work to be challenging and endeavoured to understand the aetiology, location and required treatment for the variety of muscle and ligament injuries that Greyhounds constantly sustain. This started a long journey, developing my canine Chiropractic methodology, from observation of Human Chiropractors and also Greyhound “Muscle Men” and by trial and error. 1988 – 90 Research with Enzacor Pty Ltd, a pharmaceutical company where I helped to develop a product to treat neonatal piglet diarrhoea (the product made use of the enzyme Bromelin which is found in pineapples). 1991-2004 Established the Canine Sports Medicine Clinic (Narre Warren and Dandenong) with the late Dr Alex Hauler and together we further developed Canine Chiropractic techniques. 2004 – ongoing. Moved the Canine Sports Medicine to Cranbourne South, where I practice alone, consulting with greyhounds and Show dogs, plus dogs referred by other Veterinarians, using a combination of Chiropractic, Acupuncture and Trigger Point therapy on Lameness and Musculo-skeletal disorders. I also now spend some time mentoring other fellow professionals who are interested in my field of work and wish to observe my techniques. Completed the IVAS course, in 2007. Presented a 3 day seminar on “Acupuncture Balance Methods” with Dr. B.Ferguson and Dr J.Katakasi at Two Wells S.A. I was Foundation Secretary of the Australian Greyhound Veterinary Association and received an award at the 2015 Annual General Meeting, in recognition of my service to the Greyhound Industry. Bill joined the ACVA team as Course Administrator in 2013 leading into the 2014 IVAS course. He looks after the organisational aspects of the course and ensures that the administrative elements run smoothly. Bill liaises with students throughout the course and enjoys the student interaction and the chance to use his international language skills with overseas participants. He also enjoys the challenges of organising the Continuing Education events and handling animals for the workshops. Bill has worked as a business consultant to many major international corporations on projects across multiple sectors, with a focus on operational, directional and strategic outcomes. He has both Asia Pacific and global experience and enjoys working with people from different parts of the world. Bill has over 20 years of business analysis and reporting at Board level. He is enjoying applying his business and customer relations skills to the field of veterinary acupuncture education.